I want to start this post with some of my favorite photos from this trip along with my favorite sayings/quotations. If you would like more information,and photos, about my experience in the Sequoia just keep scrolling 🙂 Enjoy! News about flash floods and stranded vehicles on the 5 freeway (near Grapevine) was all over the media just two days before my trip to Sequoia. I was very close to canceling the trip but I’m glad I didn’t. Hours before driving, the rain stopped and the road condition was reported to be safe for traffic. 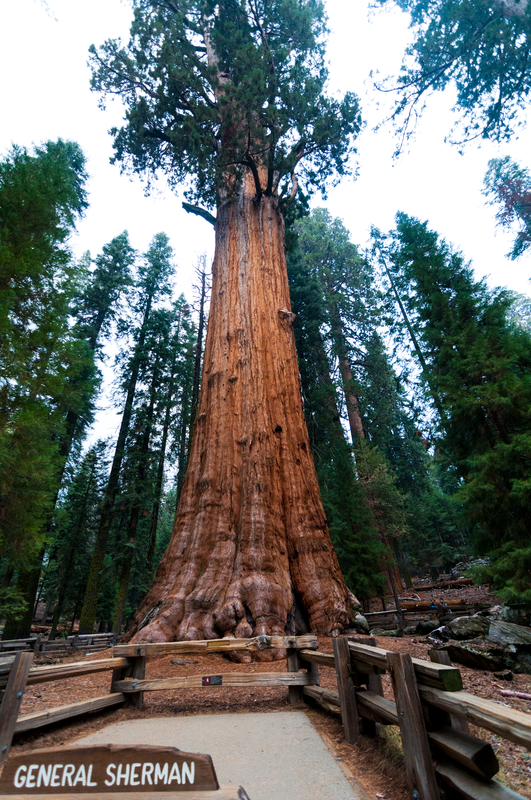 Sequoia National Park is a 404,064 acres park situated in the Sierra Nevada, only 3 hours away from Los Angeles. 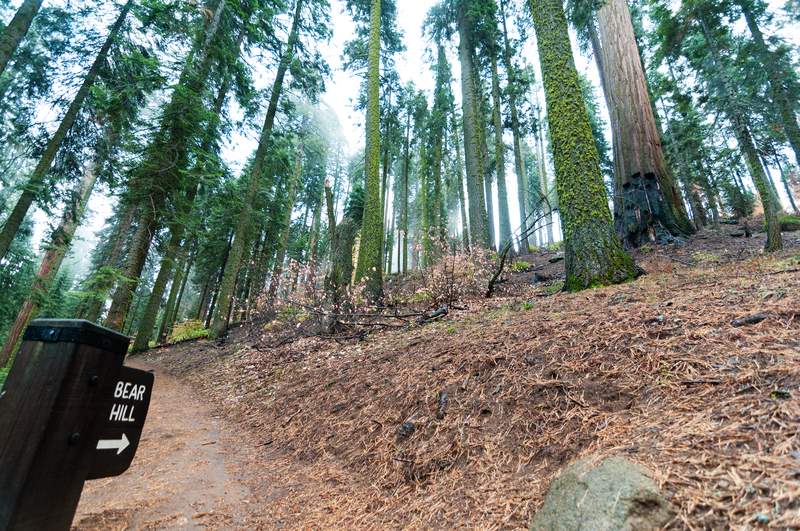 A true hiker’s paradise, Sequoia is home to magnificent hiking trails–you have more than 1000 choices. There are short and long trails for everyone to enjoy. 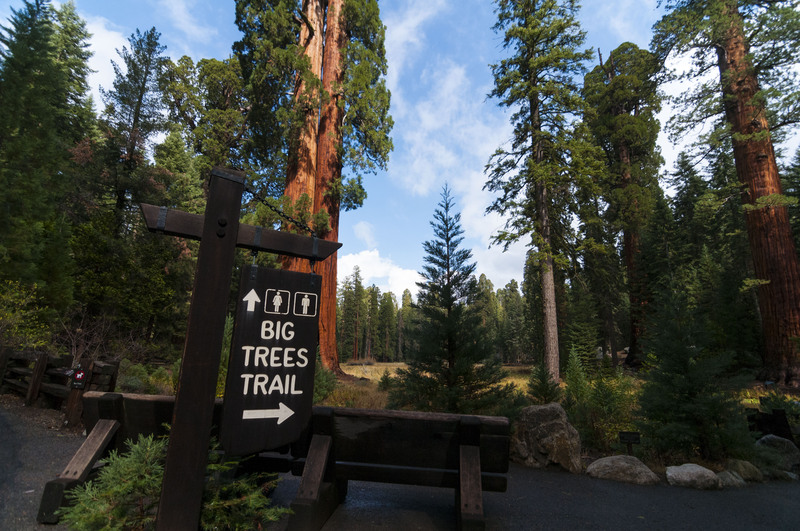 Some of the top-rated Sequoia hikes include; Big Trees Trail, Crescent Meadow Loop Trail, Congress Trail, Tokopah Falls Trail, Hazelwood Nature Trail, Alta Peak Trail, and the High Sierra Trail to Bearpaw Meadow. 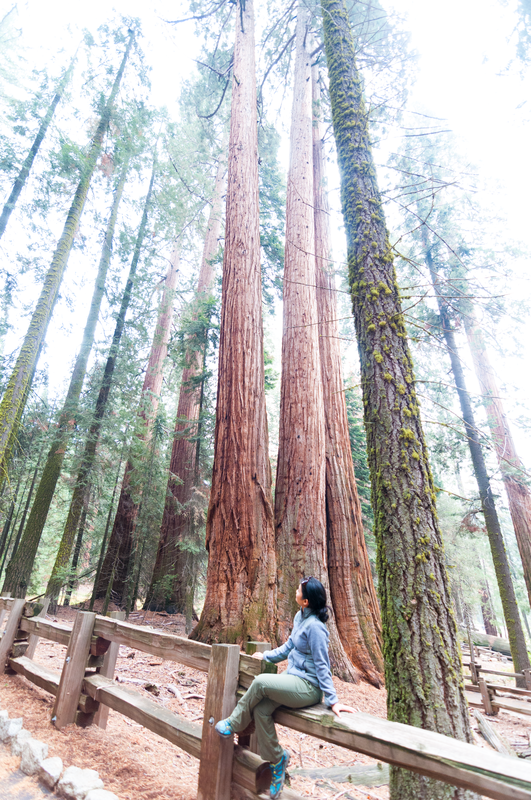 The hiking trails provides out of this world experience to one of the most amazing tree groves in the world, you’ll get to enjoy flora and faunas of different colors, majestic trees of small and medium sizes, and of course, there’s the General Sherman, largest tree in the world. So tall even my wide angle lens had a hard time capturing it! 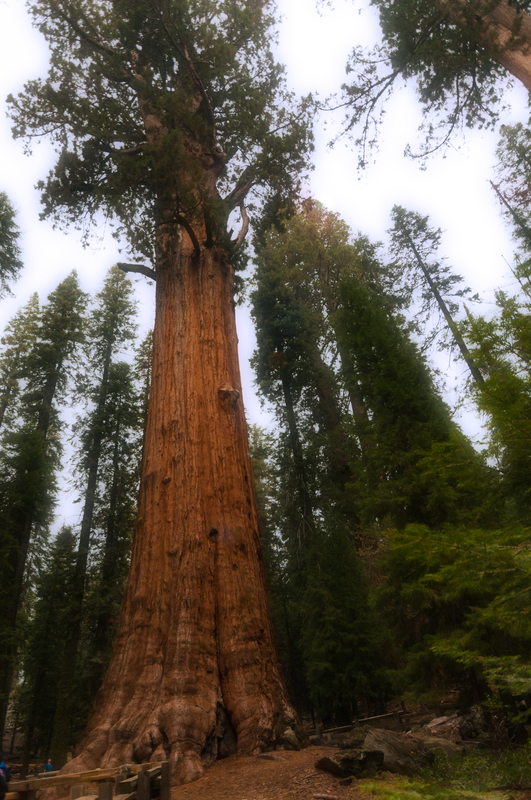 General Sherman from another angle. The entrance fee to the park cost $20.00 per vehicle and $10.00 for individuals traveling on foot, motorcycle, or bicycle. Both passes are valid for 7 days. 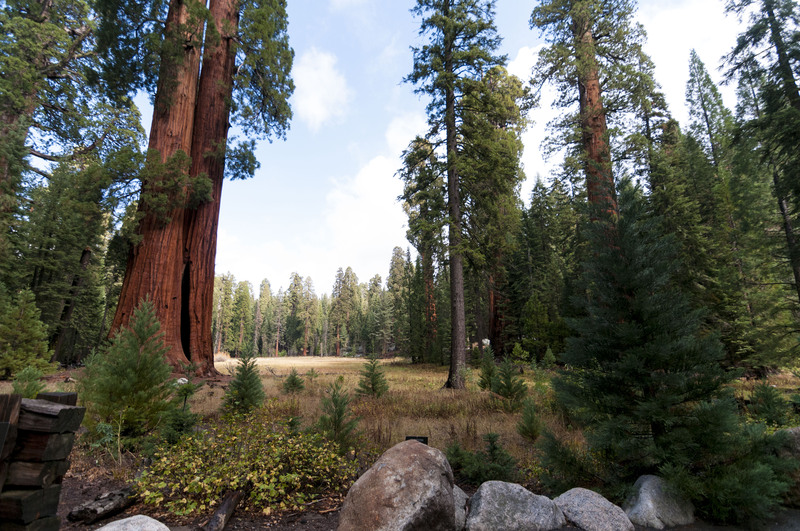 The park also offers annual passes for both Sequoia and Kings Canyon National Park. For more detailed information please click here. There are plenty of accommodation choices near the park. My boyfriend and I stayed at the Sierra Lodge, we got a very clean room with king-sized bed, bathroom, and a balcony. The hotel offers complimentary beverages and pastries for breakfast. I highly recommend this place, it was a bit dated but the hotel feels very homey and actually very clean! Below are some photos of the reception area. Biggest fail for not taking bedroom photos. 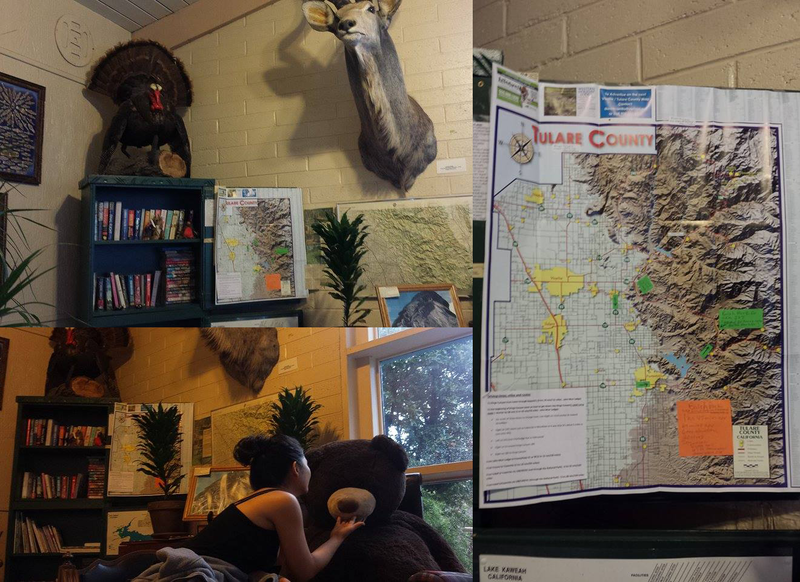 They have books and maps on the front desk. And a bear! The biggest plus for me is its close proximity to the park, only 3 miles away from the southern entrance. There is only one thing I hated about this place, although there are designated parking spots for each rooms, the parking entrance leading to the lot is too small. Other than that, this hotel is perfect for couples and families. Rates start at $68.00 a night. To book rooms visit http://www.sierra-lodge.com. You can also find them on Agoda, Hotels.com, or Priceline. I am no fog expert but I am definitely a fog lover! 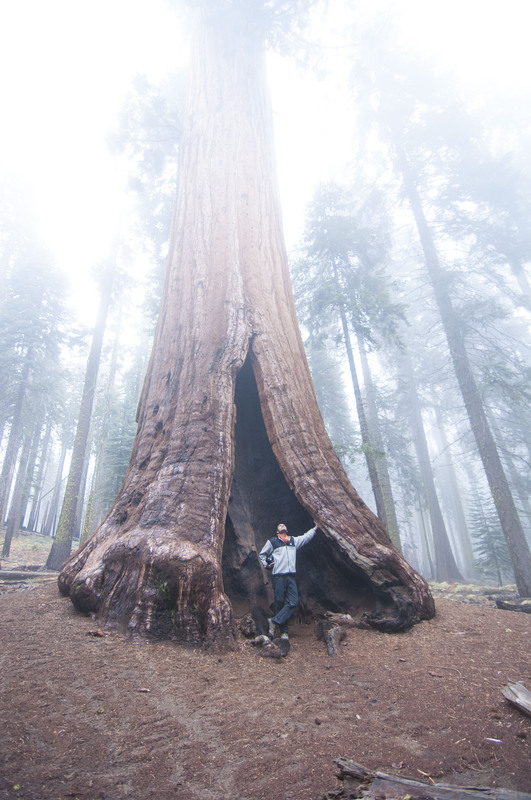 On the way to Tharp’s Log we saw this amazing tree almost covered in fog! I think fogs can add emotion to just about anything, it can make a boring hike interesting and it can definitely make any photograph dramatic. Look at all the clouds! 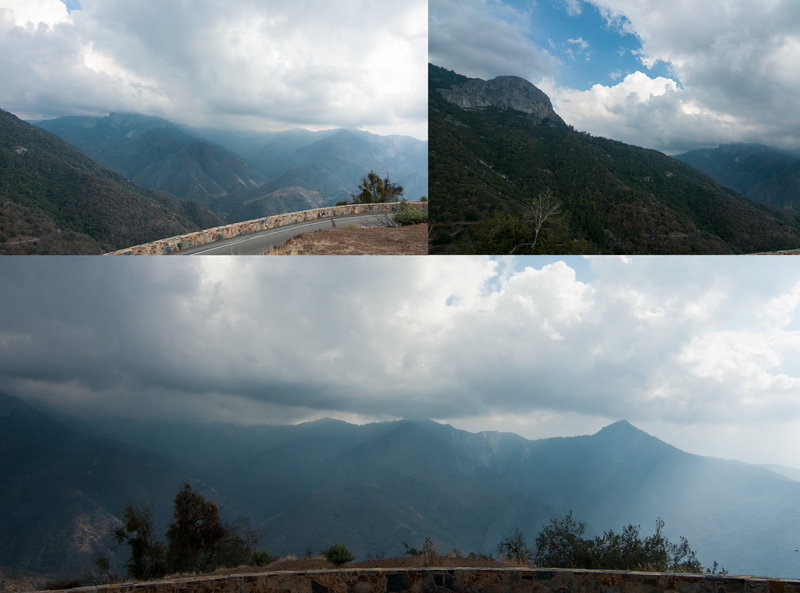 The rain was pouring throughout the night before my hike to the Sequoias. I was excited and nervous at the same time. Nervous because of the possible park closure caused by mudslides. Excited because with every rain comes an amazing fog phenomenon! The rain didn’t tamed down until 9am the next morning. We started heading to the park entrance by 10am. The entire park is safe for visitors with only one closure, the Crystal Cave. There are many hiking trail choices in the park. 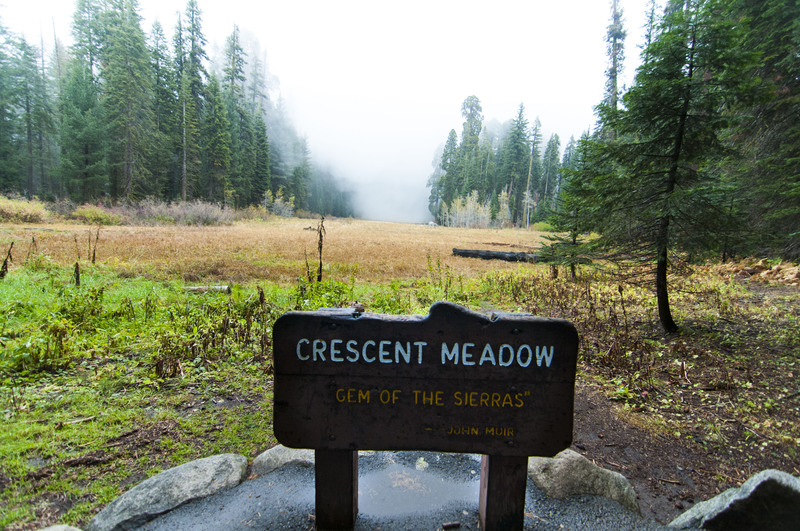 One of my favorites is the Crescent Meadow hike, this is where I experienced the fog phenomenon I was looking for. Another one of my favorites is the Big Trees Trail. Right by the trail is Ed by Ned, from afar it looks like one giant tree with one trunk. But it’s actually a formation of 2 trees that grew very closely to each other. Just look at the top and you’ll notice the two trunks. Twin trees! Say Hi to Ed by Ned. I felt really small walking around the Big Trees trail. It was a gloomy day but we experienced a little bit of sun shine along the trail. The lights hitting the big trees made its reddish trunk more dramatic. And finally, our hike ended at Tharp’s Log. A cattleman named Tharp started a small cattle ranch in the Big Forest area. He then built a cabin, equipped with window, fireplace, and a door, out of a fallen log. The log was hollowed by fire through fifty-five feet of its seventy-foot length. My second day in Mandalay consisted of walking, lots of walking. It was raining and the streets were covered in mud. Every step I took felt like the mud was trying to engulf my flip flops. This marked the day I vowed to only travel with Skechers walking shoes or a good pair of running shoes! After walking around the markets for hours, my travel buddy and I can’t seem to orient ourselves on the map. And so we lay down the guide book and proceeded with more walking! We just walked and walked and walked until we spotted an old house. How can you not be intrigued by this old house? The gate leading to the house was open. I took that as a sign of invitation. After a few minutes of exploring, an old friendly barefooted monk approached me. He pointed to my feet, showed me the keys on his hands, and pointed right at the house. I took my flip-flops off, my tour begins. I showed him my camera and asked if I can take photos as we go on our tour. He smiled and said ya!. The railings and the big red sliding door has intricate details. The color matches the monk’s robe. Everything just adds to the mystery of the house. Although my tour guide for the day barely spoke English, he somewhat learned to say, ” All original here”. Every part of the house, according to him, is all original and preserved. Majority of the time we communicated through gestures, he points here and there, and I just look. Behind the door is a big open space. Everything is old and made of wood. The ceiling is as intricate as the metal door outside. Many times, during my tour, I wished I knew how to speak the local language. It would’ve been nice to be able to know what he was saying. He talks as though he was giving important details as we were walking in every area of the house.My questions were never answered, is this a family house? A temple? A house for the monks? I will never know. Inside a house is a spiral stairs leading to the second floor. Mandalay has been amazing to me. The people are friendly and everyone has been polite and welcoming. This is just one of my favorite memories in Myanmar. I’m hoping to someday come back and go on more adventures. Who knows, maybe i’ll get lost again. I just got back from my trip to Arizona, it was a long drive from Los Angeles but worth every mile of the trip. 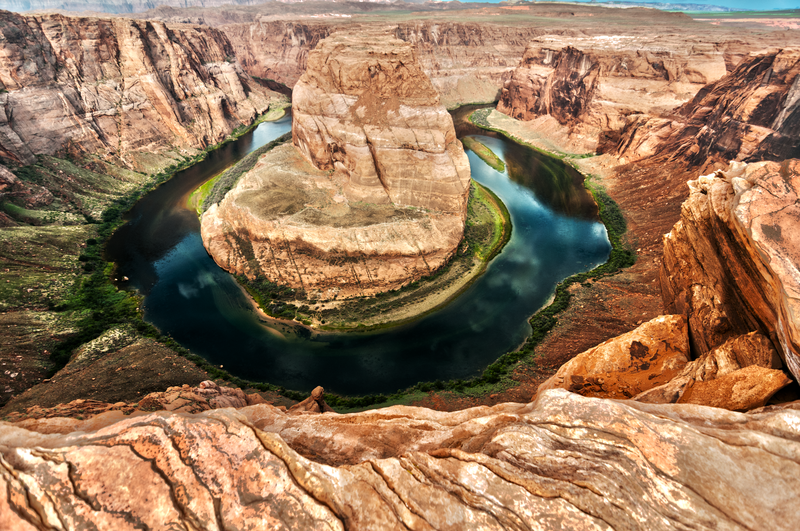 My itinerary includes a supposedly 2 nights of camping at Lone Rock Beach Campground, a tour of Lower Antelope Canyon, and of course, a photo shoot at the majestic Horseshoe Bend. I’m giving this campground an 8/10. It is a big area and reservations are not required. Arrive early if you’re camping around the busy months of the summer. There are plenty of space for RVs and tents, but if it’s crowded you might not get the best spot–depending on your definition of a best spot. I like my tent close to the water and away from the toilets. Speaking of toilets, the vault toilets are clean, maintained, and equipped with toilet papers. Our campsite! We have a total of 4 tents. See how close we are to the lake? The first night of our camping trip was amazing. The moon was full and everyone was having fun. We can hear a combination of sounds coming from guitars, radio, and people singing. There was music everywhere! An over all great experience. I slept like a baby! The next night was a different story. Right when we left the campsite for our tour of the Antelope Canyon the clouds started rolling inn and rain started pouring. We can see lightning everywhere! Four people in our group decided to go back to the campsite and the rest continued with the original plan of kayaking on Lake Powell. The kayak tour took about 3-4 hours. Right after leaving the lake, our phones were immediately bombarded with messages. One of which was my friend’s distraught voicemail. Once back at the campsite our old spot was gone! Our tents were nowhere to be found! I thought we lost them but thankfully our friends (the awesome ones who decided not to go kayaking) packed everything up. According to my friends, the tents couldn’t handle the strong wind and rain. We lost a flash flight and undies? But all these, the good and the bad, surely made this trip one for the books. The rain was gone, too exhausted to set the tents up for the second time we headed out to Page, AZ and ended up spending the second night at a wonderful “campsite” called Clarion Inn, teehee! Before camping, please check the weather! I repeat, check the weather! Don’t make the same mistake me and my gang made. Click here for more information about Lone Rock Beach Campground. I love kayaking. I had my first taste of kayaking in an open ocean environment. 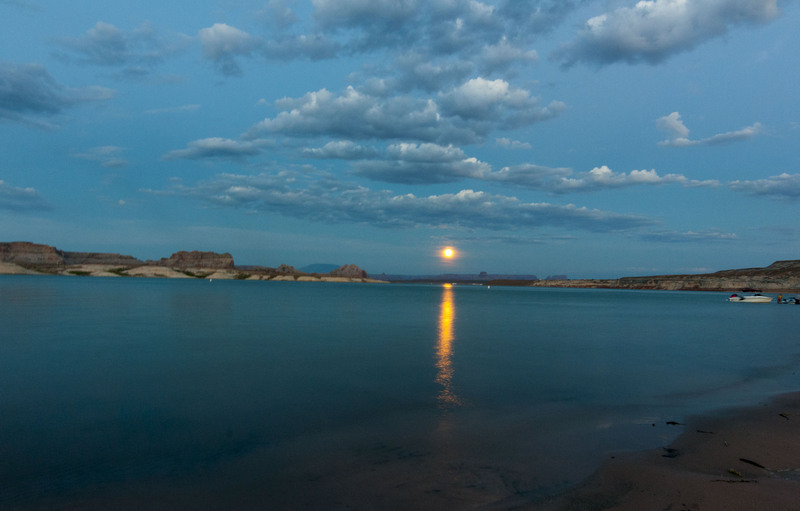 Hence, I find Lake Powell more relaxed and quite easy, the water is calm and you don’t have to fight giant waves. Though from time to time you do have to deal with boat traffic. You don’t have to hire a guide in order to explore the lake, but it is a huge lake and shouldn’t be underestimated. My group and I paid $90.00 for a sunset tour with a company called Kayak Lake Powell. The tour takes about 3-4 hours and includes snacks and drinks. The guides were amazing and very professional. As the tour goes on they gave us important facts about the lake. It was a very learning experience, also very fun. I highly recommend this company. They also offer kayak rentals, expeditions, and bike rental. 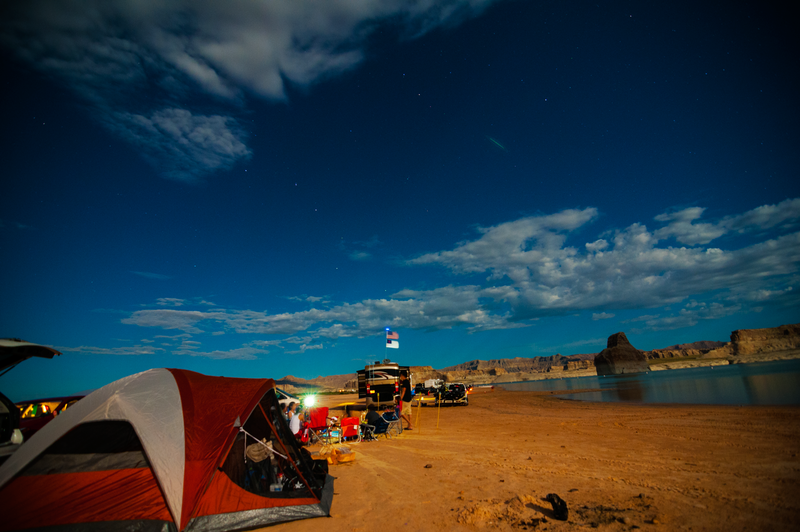 For more information about Kayak Lake Powell visit http://www.kayakpowell.com. 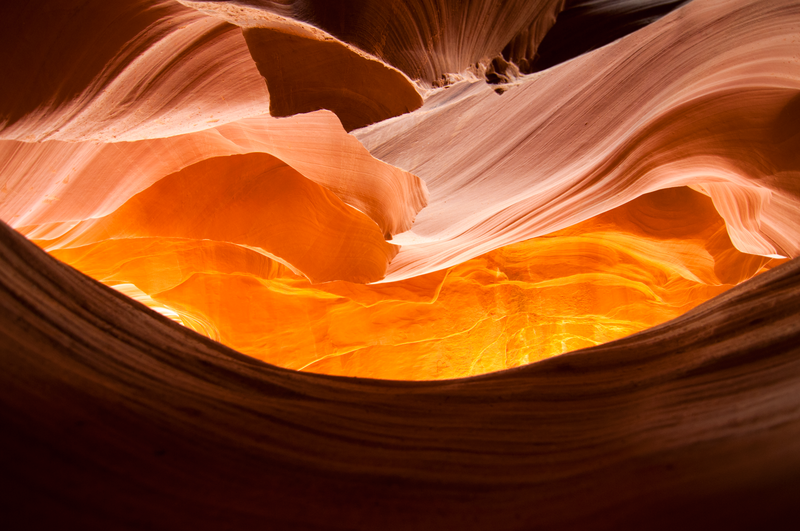 The Lower Antelope Canyon is as cool as its Navajo name Hasdeztwazi or Spiral Rock Arches. The shapes and curves down the canyon will stretch anyone’s imagination. Just have a look at the photo below, can you see the baby? Can you see the baby? The positioning of the sun changes the colors down the canyon adding a very dramatic effect. Time your visit if you can, it’s best to go when the sun is high up and there is enough light reaching down the canyons. In order to see the canyons you will have to sign up for a tour with a Navajo guide. You can’t just show up and explore on your own. For this trip, I signed up with Ken’s Tours. The cost is $20 plus an $8.00 Navajo permit fee to be paid upon entering the parking lot. You can easily make reservations online by visiting http://lowerantelope.com/. This amazing company also offers a photographer tour; 2 hours in duration and costs $42.00. A DSLR and a tripod is required. Make sure to check the weather before your trip. Keep in mind that during the monsoon season the canyons can get dangerously flooded causing the tours to get cancelled without early notice. 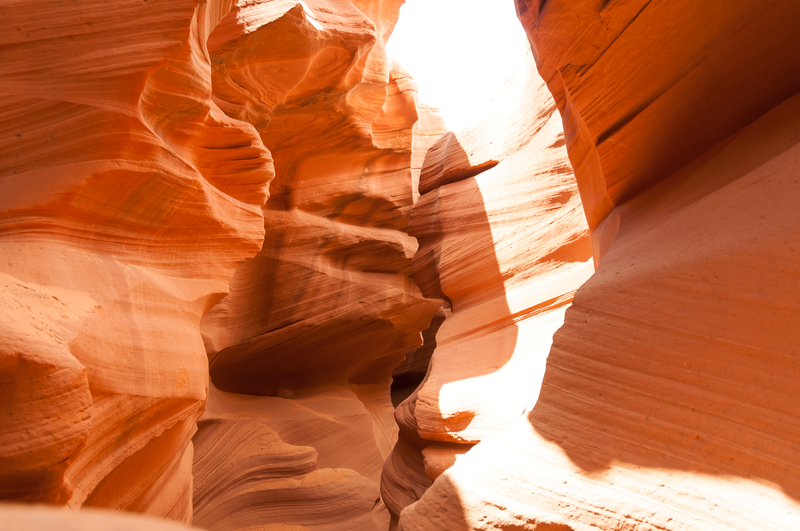 Antelope Canyon is about 15 minutes away from the Horseshoe Bend which makes it the perfect stop before or after your canyon tour. From the parking lot leading to the rim you have to walk/hike for 3/4 mile. Depending on your fitness level, the walk can be grueling especially during the summer months. Bring water and walk slow, I can guarantee you the view is worth every step. One thing i wish I did on this trip was to take sunrise photos at the bend. We just didn’t have the time and the willpower to wake up before sunrise. I guess this is another reason to come back! So next time you’re in Arizona or Utah don’t hesitate to go camping and explore Lake Powell, Antelope Canyon, and the Horseshoe Bend. Enjoy the photos! A gallery of my short but sweet trip in Thailand. I was only there for the sole purpose of getting a Myanmar visa. I was fortunate enough to be able to explore Bangkok and take a side trip to the old capital Ayutthaya. Enjoy the gallery :). Pretty sure my mom is celebrating her 68th bday in heaven 😇.